In 1600 there were 18 lute makers registered as working in Füssen – how did this tiny Bavarian town come to play such an important role in the history of violin making? 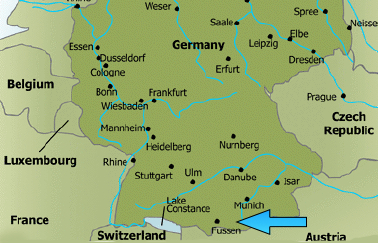 The city is situated on the river Lech in Bavaria, one of the important trade routes connecting Munich and other cities in southern Germany with Italy. Instrument making flourished not only in Füssen but also in small neighboring villages such as Rieden, Roßhaupten, Tiefenbruck and Schongau. The craft depended to a high degree on the export of its products and therefore was vulnerable in times of unrest or war. And not only instruments crossed the borders – as we shall see, a substantial number of violin and lute makers left their native cities and villages to make a living in foreign countries, including Caspar Tiefenbrucker in Lyon, Laux Maler in Bologna, members of the Seelos (Sellas) family in Innsbruck, Linz and Venice, and Thier, Geissenhof and Stoß in Vienna, to name just a few. We have evidence that as early as 1436 a lute maker was active in Füssen and in 1461 a ‘Perchtold der lautenmacher’ is mentioned. This is also true for villages in the neighborhood. In Immenthal (north of Füssen) we find members of the Gerle family, who were famous both as lute makers and as players. 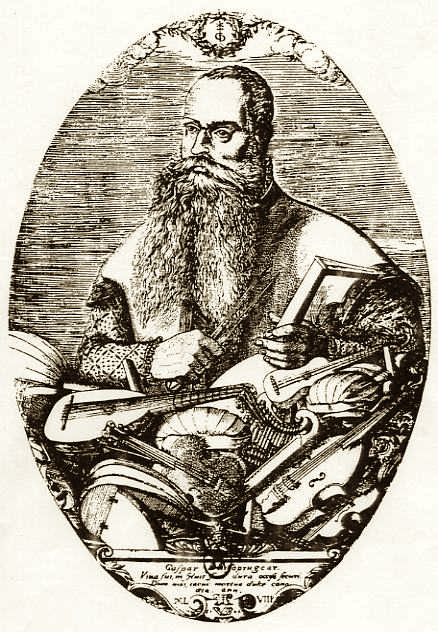 Hans Gerle (d. c. 1570) authored an influential treatise on lute playing and his relative Georg Gerle (d. 1591) was active in Füssen as one of the founding members of the instrument makers’ guild and later worked in Innsbruck. Judging by a well-preserved ivory lute from around 1580 (now in the Kunsthistorisches Museum, Vienna), he must have been an outstanding member of his craft. There is evidence that in the mid-16th century several lute makers from the surrounding villages and cities moved to Füssen. 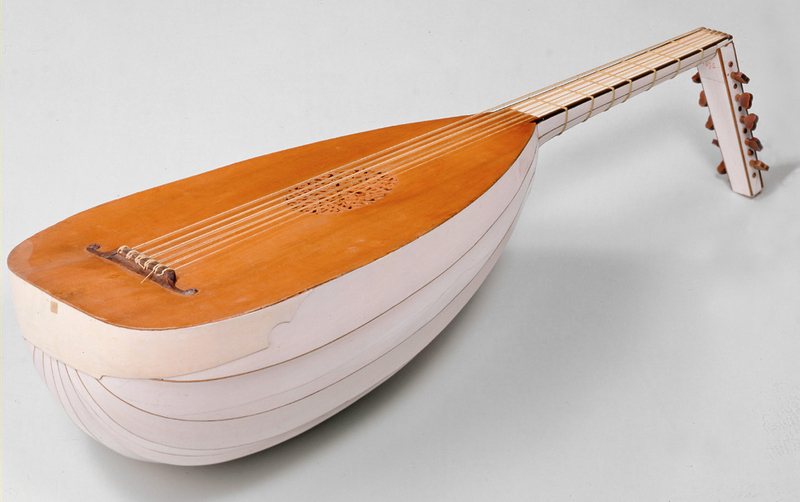 Within a couple of years the number of lute makers had increased from four to eighteen. As a consequence the masters of the city made efforts to regulate their craft. The lute makers’ guild was founded in 1562, making it the oldest of its kind in Europe. After an introductory chapter of the of the ‘Lauth- und Geigenmacherordnung’, explaining the necessity for such a regulation, there follow ten chapters dealing with the regulation of the craft. It appears that certain rules had been observed for several years, handed down by oral tradition, and that the increasing number of craftsmen had made it necessary to put these in writing. It is clear that there were, as in many similar regulations, two objectives behind this effort: the limitation of the number of masters and the regulation of the training of the apprentices and journeymen. Apprentices had to work for five years with their master. After this period the master had to wait for three additional years before he was allowed to take a new apprentice. The purpose of this regulation (which allegedly had been violated in several cases) was to limit the number of journeymen and young masters in the guild. A journeyman had to work for three years with a master before he himself could become master. As a final test of his proficiency he had to manufacture a lute (his ‘masterpiece’). After approval by the masters he had to pay two guilder to be accepted as a young master. The guild regulations from 1562 were reconfirmed in 1606 and in principle remained in effect until the guild became obsolete in the 19th century. During the decades between 1560 and 1620 lute making in the Allgäu was at its peak. Production far surpassed the local demand and the trade flourished. Instruments from Füssen could be found in chapels all over Germany and were also exported to The Netherlands, England, Spain, France and Italy. It is hard to believe how efficient and tightly interwoven the network of dealers and instrument makers was. As an example we can look at the Tieffenbrucker family. Biographical information about them is scarce, but we know that at least 14 members of this family were active in three countries (Germany, France and Italy) and in numerous cities. Caspar Tieffenbrucker was born in Tiefenbruck around 1514 and died in Lyon around 1570–71. In 1544 we find him in Füssen and in 1553 he is documented in Lyon, where three years later he bought a vineyard. He was a prolific maker and the famous engraving by Pierre Woeriot de Bouzey from 1548 shows him amid all the instruments that a luthier of his day might have produced. Another branch of the family goes back to Ulrich Tieffenbrucker, who moved to Venice. His son Magno (I) had three sons, who also became lute makers. Of these, particularly noteworthy is Moisé, who for 20 years held a ‘privilege’ (a patent) for a newly developed varnish to color lutes crimson and green! As he had drafted no will, an inventory had to be drawn up upon his death. 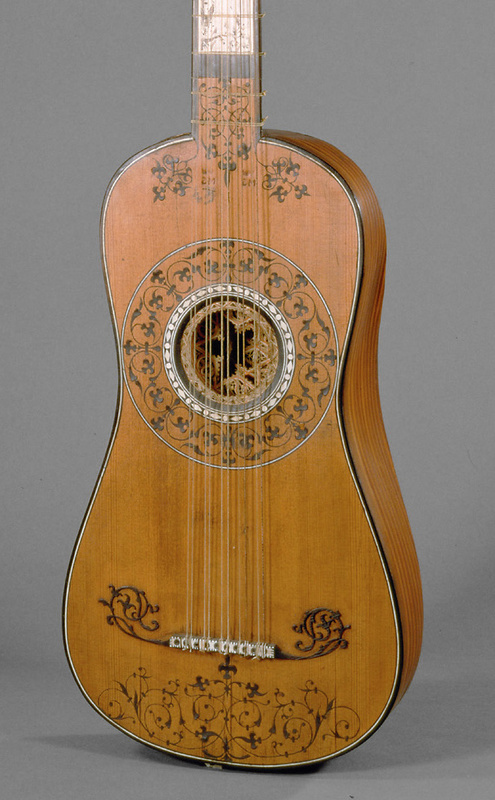 This lists among many other items no fewer than 532 lutes in different states of completion. Moisé Tieffenbrucker for 20 years held a ‘privilege’ (patent) for a newly developed varnish to color lutes crimson and green! Of similar importance were members of the Seelos (in Italy: Sella) family, of which no fewer than 19 members are mentioned in Lütgendorff’s reference book (1990 edition). For more than 150 years these makers established a link between south Germany, Austria and Italy. Their origin seems to be the village of Osterrainen near Rieden (north of Füssen). From Georg Seelos, who was active in Venice in the early 17th century, several beautifully made guitars with lavish decoration have survived, proof of these makers’ extraordinary high standard of craftsmanship. A relative bearing the same forename had his workshop in Innsbruck. No instruments by this maker are known and therefore it is impossible to comment on the quality of this contemporary and rival of Jacob Stainer. His son Johannes (1654–1715) moved to Linz (Upper Austria) and two barytones, a viola d’amore and two lutes from his hand have survived. As mentioned, the guild regulations were reissued in 1606. Compared with the original, the revised version aims at a further reduction of masters and stronger regulations for journeymen and young masters who wanted to settle in Füssen. Considering that around 1600, 18 lute makers had to make their living in this small city of only 2,300 citizens, these measures are quite understandable. An additional problem occurred with regard to the wood upon which the lute makers depended. Yew wood is not only a superb material for lute bodies, it is also indispensable for long-bows, a weapon exquisitely handled by English archers in particular. Yew trees do not grow in large quantities and their growth is very slow. As it happened, in 1530 merchants from Nuremberg and other cities had been granted privileges for the chopping and export of yew trees, a profitable business that endangered the existence of the local instrument makers. In several petitions preserved in the Munich State Archive, members of the guild asked the Duke of Bavaria and the Austrian Archduke to refrain from issuing new privileges and to protect the local craft by increasing the rate of duty for the export of yew wood. Although the conflict remained an issue for decades, these measures seem to have been effective. But there were other circumstances threatening not only the craftsmen but the whole region, as we shall see in Part 2. Rudolf Hopfner is director of the Collection of Historic Musical Instruments at the Kunsthistorisches Museum, Vienna. Instrument images courtesy of the Kunsthistorisches Museum, Vienna.